You are here: Home » Blog » eBay will stop supporting custom designs in late 2019 – get your store designed now! Yesterday eBay published the Spring seller updates. Another year and yet more significant changes I hear you all cry! Many of our phone calls were focused on the custom ebay shops last week. What does it all mean? Sellers who do not have custom pages or a custom storefront will automatically be moved to the new Store experience in May 2018. Sellers who have custom pages will be moved to the new experience later in the year. Sellers with fully custom storefronts will be moved to the new Store experience in 2019. New controls for adding custom content will be available later in 2018. Sellers may move to the new experience in May by following the steps below. 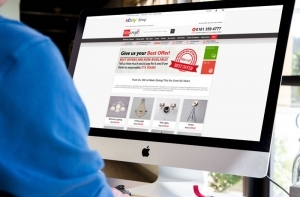 eBay recommends these sellers move to the new experience as soon as possible since these new storefronts are 100% free of active content, comply with HTTPS requirements, deliver improved SEO traffic, and mobile web experience. Sellers may move to the new experience in May by following the steps below. 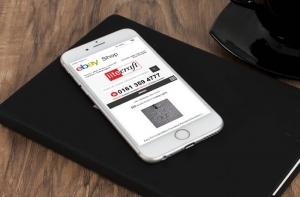 eBay recommends these sellers move to the new experience as soon as possible since these new storefronts are 100% free of active content, comply with HTTPS requirements, deliver improved SEO traffic, and mobile web experience. 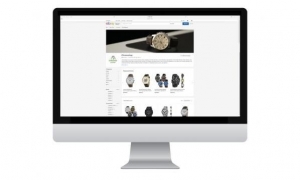 These sellers will still be able to manage their storefront content using the tools they currently use. A new tool will be coming later in 2018. sellers These storefronts will be moved to the new experience in 2019. From May 2018 any sellers adding the eBay storefront to their eBay service will no longer be able to add a custom store design but will have to use the Native design eBay provides. However, if you already have a custom shop designed by us or another third party; or one created before May you will be able to continue using this until 2019 or later. What is the new store experience? As you can see there is very little to offer your customers nothing to set you aside from your competition. A custom design, however, will give you an advantage over these customers at least for the next 12-24 months. All our stores are Active Content and HTTPS Ready, SEO friendly and mobile/tablet responsive as you can see. Do I opt for a custom shop design or listing template? Using custom design templates can help you present your products more professionally to your buyers. Listing template design is still highly effective and will enable you to brand your listings more professionally than using the standard eBay native listing. Furthermore our designs provide a better user experience for all your buyers. Why not give Ad-lister a try today?